← spaghetti squash, where have you been all my life? well, halloween’s over. that means it’s time for christmas shopping, decorating, baking, etc.! yes, there’s that pesky thanksgiving holiday between now and christmas, but i’m not all about filling my home with turkey decorations. i saw a super simple but cute idea on ravelry to make yarn christmas trees, so i decided to use the rest of a gift card i had for michael’s on the supplies to make a few. i had to dig out the hot glue gun from storage in the basement, but i think the end product was worth it! i made two tonight and plan to make a third soon. i still feel like they are missing a little something on top, but don’t really have the right supplies/yarn to make a star, so they are staying like this for now. 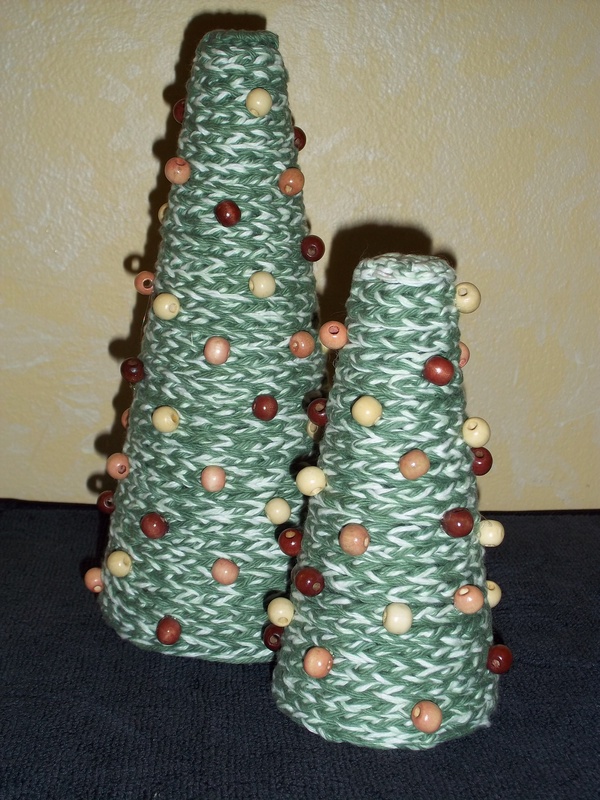 This entry was posted in Crochet, Fun Stuff and tagged christmas, crafts, crochet, decorations. Bookmark the permalink.